Watch CMA Awards 2017: Red Carpet & Backstage Livestreams! Watch The CMA Awards: All Access official CMA red carpet 2017 and backstage livestreams and special in-show performance during the CMA Awards 2017 beginning TONIGHT 6|5c. 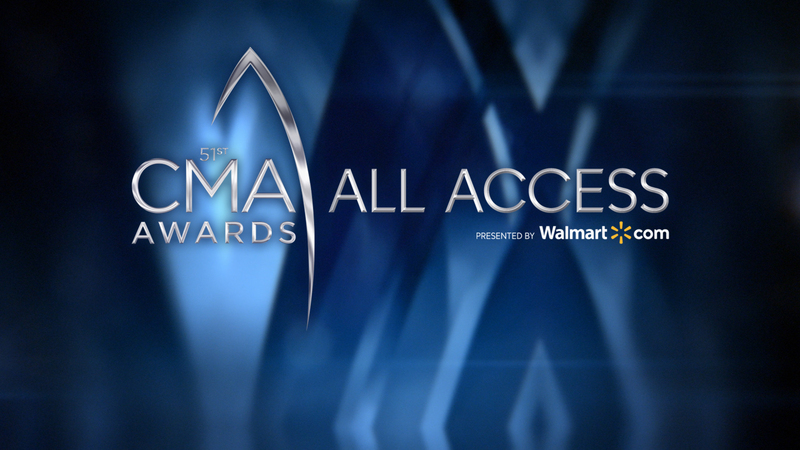 The CMA Awards: All Access offers viewers exclusive access to Country Music's Biggest Night™. Previous two-time CMA Awards nominee Kellie Pickler and television personality Ben Aaron (both of "Pickler & Ben"), "Today In Nashville's" Kelly Sutton and Country Music artist Clayton Anderson are hosting this year's show, which will stream globally, exclusively right here beginning with the red-carpet stream at 6|5c on Wednesday, Nov 8. The CMA Awards: All Access will livestream from 10 cameras strategically positioned throughout the red carpet and the Bridgestone Arena in Nashville, offering unique viewpoints of the red carpet and backstage areas. Twitter users can watch throughout the night at @CountryMusic. Using the hashtag #CMAawards, they can tweet their comments and questions that may then be answered Live on the red carpet and backstage. All four hosts will stream from the Red Carpet with Anderson also talking to fans in attendance. Sutton and Anderson will then continue the show backstage during the Awards telecast, interviewing winners, presenters and performers live from exclusive backstage cameras. The 51st Annual CMA Awards broadcasts live WEDNESDAY, NOV. 8 8|7c, from Bridgestone Arena in Nashville, on ABC. Be sure to watch the epic event in its entirety on ABC.com and the ABC app beginning on THURSDAY NOVEMBER 9! SEE CMA AWARDS CO-HOST BRAD PAISLEY PERFORM ON JIMMY KIMMEL LIVE! First Performers Announced for "The 51st Annual CMA Awards"